The cloistered Passionist Nuns of Loreto (AN), on 7-8 February 2012, celebrated their Chapter for the election of the Superior and her Council. On 7 February, Sr. Maria Pia was re-elected Superior and on 8 February her Council and the novice mistress were elected. Photo (L-R): Sr. Eva, Second Counselor; Sr. Olga, Vicar; Sr. Maria Pia, Superior; Sr. Mariangela, First Counselor and Mistress of Novices and Sr. Immacolata, Third Counselor. 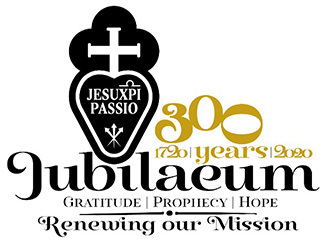 The Jubilee of the Parish "N. Sra. da Boa Vaigem"